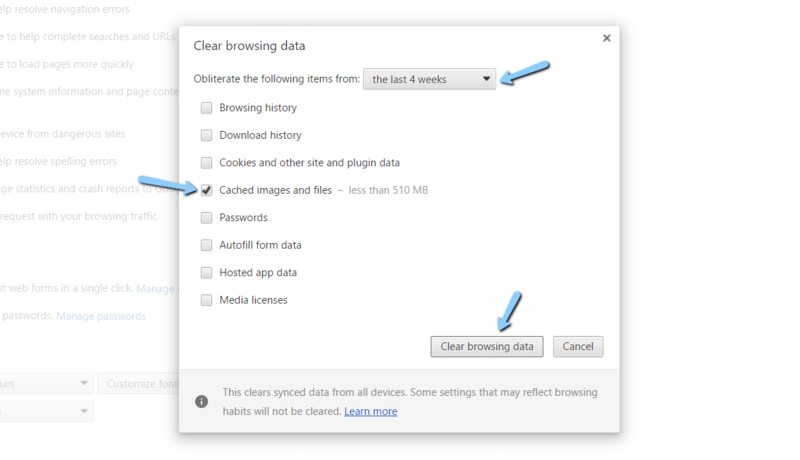 Does someone keep telling you to “clear your browser cache”? It’s an important diagnostic when you’re having issues with a website. 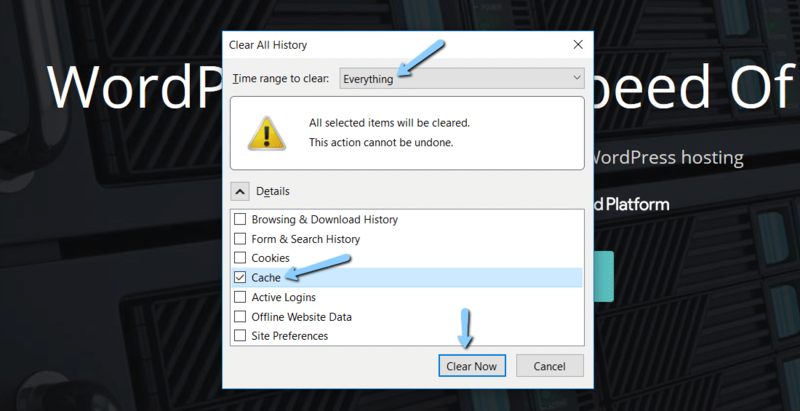 But what does clearing your browser cache actually mean, and how do you do it for your specific browser? 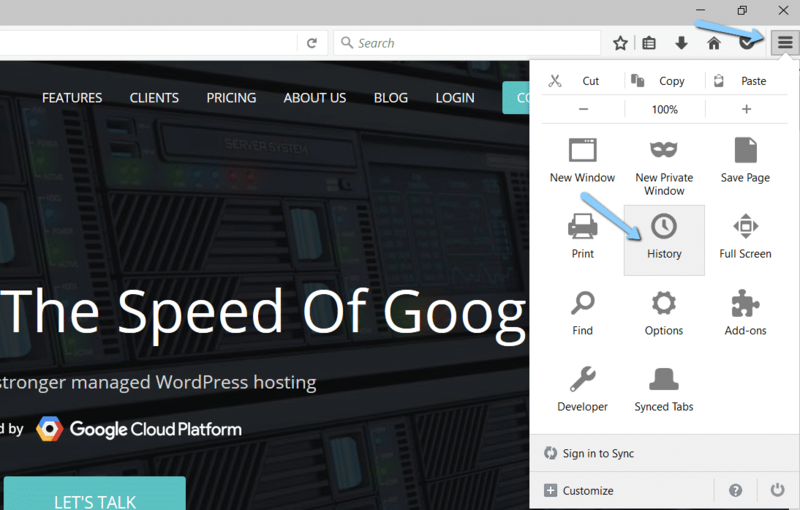 Whenever you visit a website, your web browser saves certain information from that site on your computer’s hard drive in something called the “browser cache.” Most of the time, this is a positive thing, as it helps speed up your web browsing experience by eliminating the need to download the same static resources over and over as you browse around a web page. 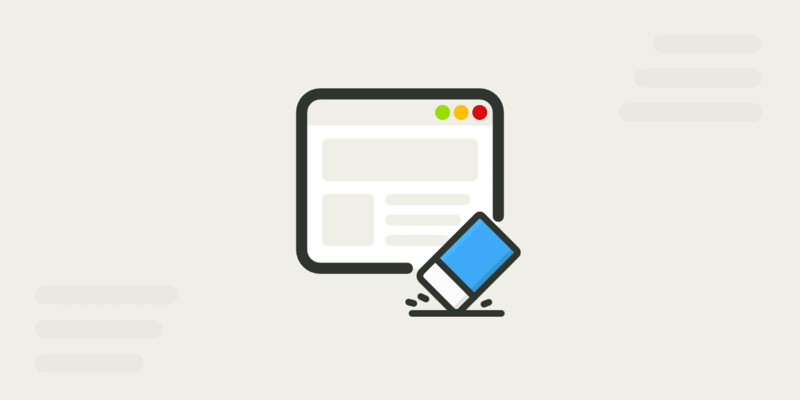 For example, a website’s logo is unlikely to change – so it makes sense to store this logo locally in your browser cache instead of having your browser download the logo each time you visit a new page. But sometimes this cache can actually cause problems for your browsing experience. That’s when you need to clear your browser cache. In this entry, we’ll first give you a brief introduction of the times when you might need to clear your browser cache. 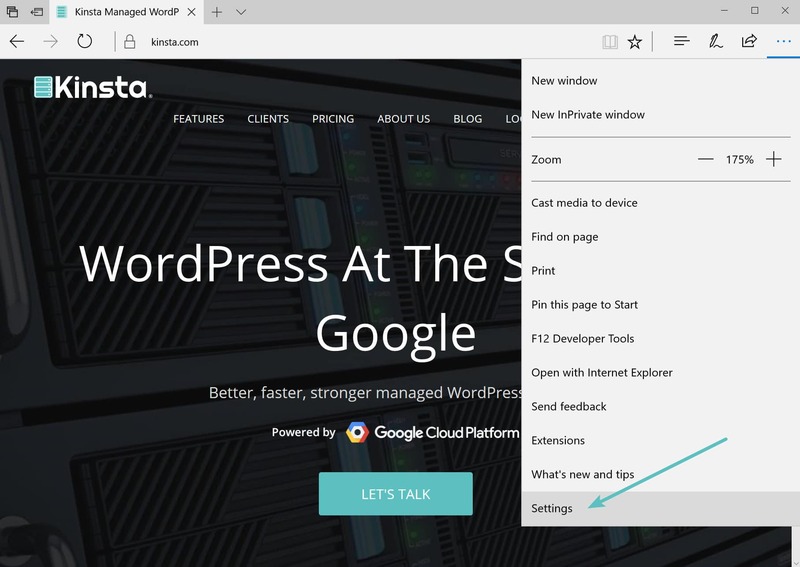 Then, we’ll show you how to clear the browser cache of most major browsers. If you want to quickly skip to the “how”, you can click one of the links below, otherwise, we’ll start at the beginning. Most of the time – you never even notice browser caching happening. It runs entirely behind the scenes and usually doesn’t affect your browsing experience. But…sometimes things can go wrong. 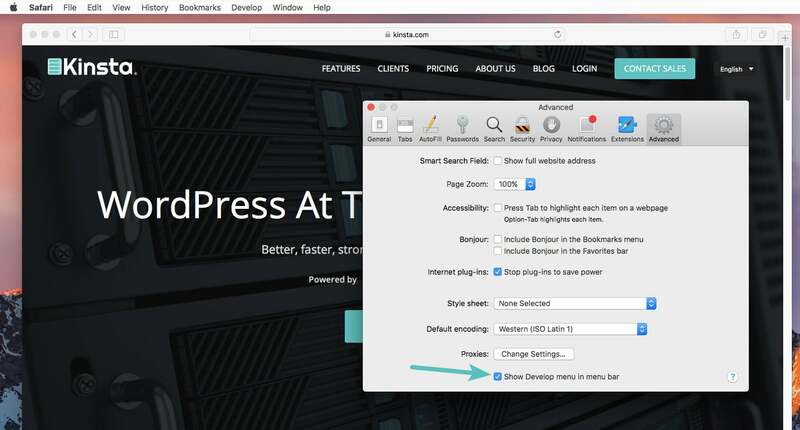 For example, you might make a change to your site…but you’re unable to see that change because your browser is still serving up the cached version of that resource. Or, the cache might have become corrupted and is actually interfering with the proper functioning of a web page. 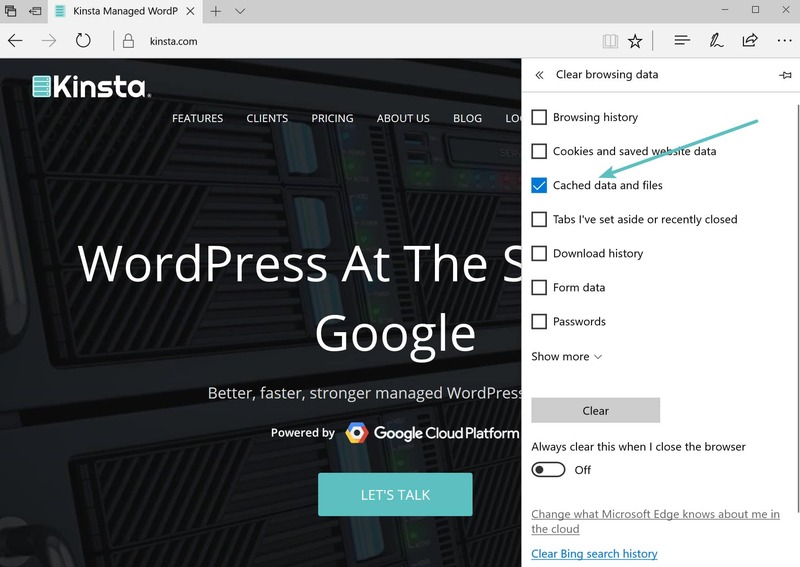 For those reasons, a good first step whenever you encounter an issue on your own site (or someone else’s site) is to clear your browser cache. It won’t always fix the issue – but it is an important first diagnostic step to rule out before you assume that a more complicated issue is causing problems. 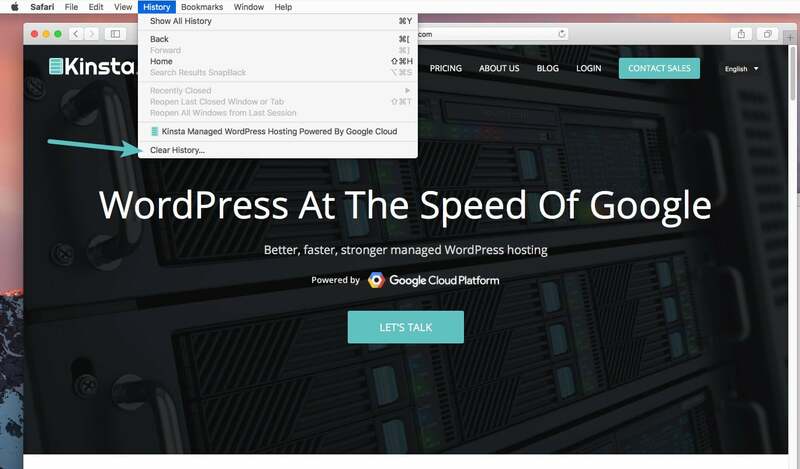 You’d be surprised how often what you think is a “huge” website bug is actually just a caching issue that goes away as soon as you clear your browser cache. Again, this method only bypasses the cache for the specific page that you’re on. It leaves the rest of your browser cache untouched. Therefore, this option is great if you’re experiencing issues with just a single page. But if you want to completely reset your experience (say, across an entire site), you’re better off just clearing your entire browser cache. You can also change the timeframe at the top, though usually the default of 4 weeks is perfectly fine. 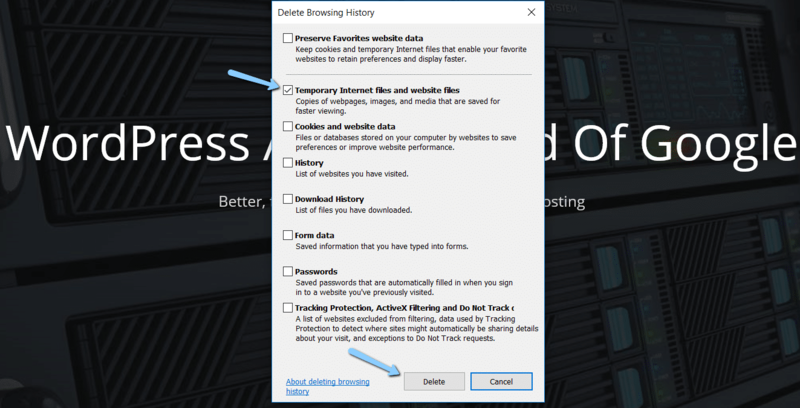 Then, click the Clear browsing data button to clear your cache. And that’s it – your Chrome browser cache is now empty. And that’s it! Your Firefox browser cache is now empty. And your Internet Explorer browser cache is clear! To clear the browser cache for Microsoft Edge, click the Three Dots icon in the top right of your browser window. Scroll down and click on Choose what to clear. 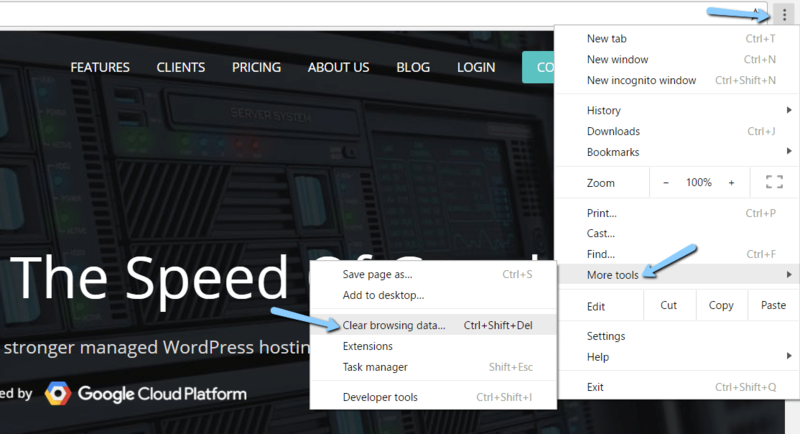 Make sure to only select the Cached data and files box to avoid clearing important information. 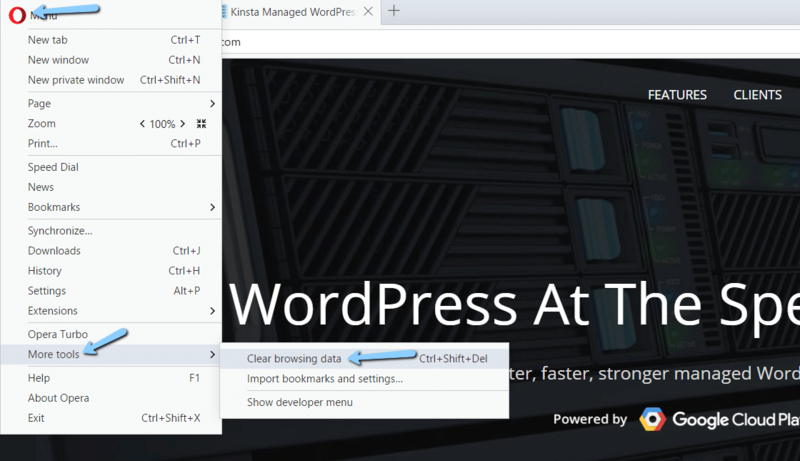 You can also access the menu by using the shortcut: CTRL + SHIFT + DEL. Then, click the Clear button at the bottom. Your Opera browser cache is now empty.